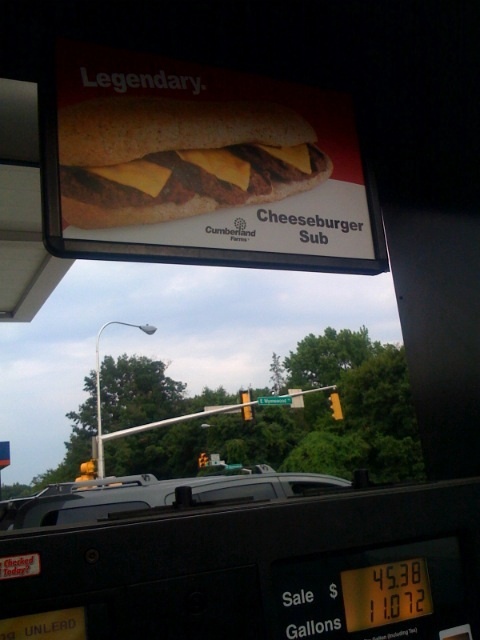 Looked up while pumping my $4.09/gallon gasoline today at Cumberland Farms to see this ad for the “Legendary” Cheeseburger Sub. Was I tempted? Call it curious more than anything, but when the final tally for my car’s tank was $45.38 I decided to resist in the name of staying on budget.